K (Mom): Great romp around Anchorage – gorgeous flowers throughout downtown. Girdwood – neat community. Thanks for visiting Mom! E (Dad): Wonderful drive off the Kenai – will definitely be going back to Girdwood. 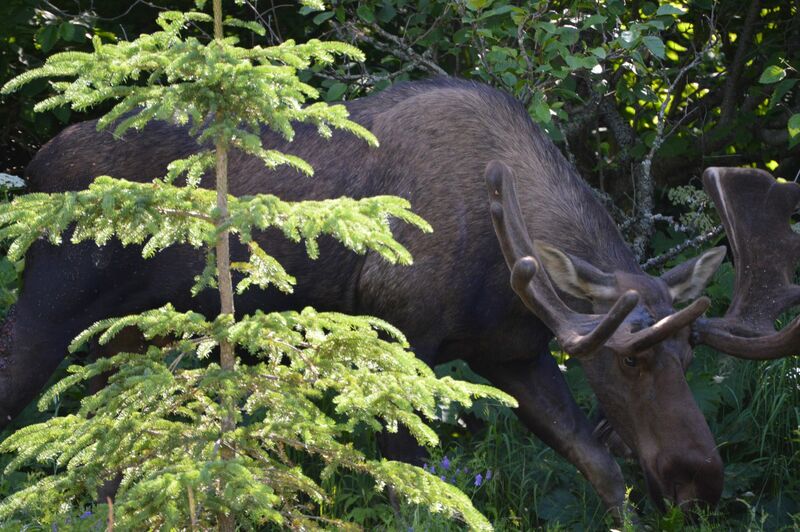 Best moose sighting of the trip right in city limits of Anchorage – enjoyed downtown. G (age 11): See you in September, Grammy! Murdoch Roy clan’s one(ish)-sentence daily journal of our Summer 2015 road trip from NH to AK and sights in between. Enter your email address to follow Travel Grateful + receive email notification of new posts.